WestJet has dropped the price of their February 2017 flights from Calgary to Port of Spain, Trinidad and Tobago down to $451 CAD roundtrip including taxes. 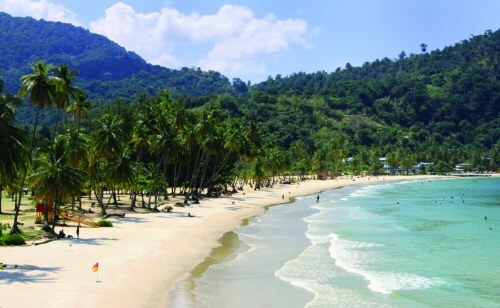 It's unusual for WestJet to drop the prices of their flights from Western Canada to Trinidad and Tobago, especially to 40% below the typical best price. The flights are also as fast as Calgary to Trinidad and Tobago can be done. The flights do have a pretty tight connection in Toronto in the way there (1 hr) and a 3 hr connection on the way home. 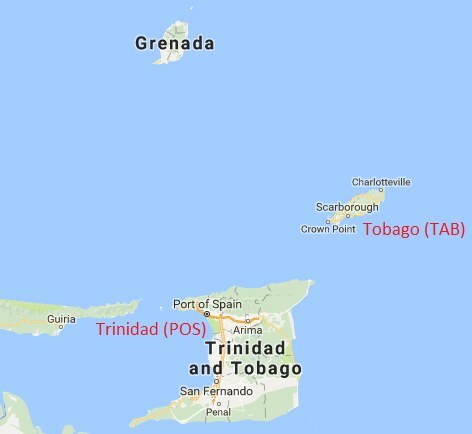 Below, I've posted some info about flying between Trinidad (POS) and Tobago (TAB) for $65 CAD roundtrip including taxes. When you get to the WestJet website, choose the flight with 10 hours of total travel time on the way there, and 13h51m on the way back. WestJet lists the longer flights first. On Skyscanner, you may find that the 4th flight down the list of the search results are the fastest flights. calgary, yyc, flight deals, caribbean, eastern caribbean, south caribbean, port of spain, trinidad and tobago, pos, windward islands and lesser antilles. 2 Responses to "Calgary to Port of Spain, Trinidad and Tobago - $451 CAD roundtrip including taxes"